As an instructor of the martial arts, I’m sure you go to great lengths to prepare your students for battle. However, the Bible tells of another battle we should be training for… a spiritual battle (Ephesians 6:12) which is a matter of life and death. In an effort to keep the Eastern religions out of our schools, many of us have completely set aside the spiritual aspect of the martial Arts. 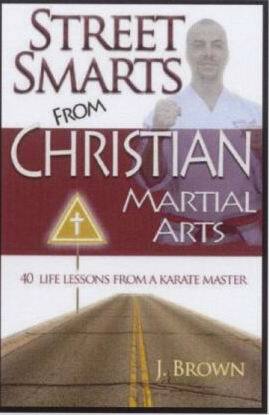 With my new book, Street Smarts from Christian Martial Arts, I am beginning a campaign to reintroduce spirituality back into the martial arts through Jesus Christ. Making this book available to your students would be an excellent way for you to spread the Gospel and fight the good fight. It might even give you an opportunity to witness about your own Christian faith and make a greater impact in the lives of those you mentor. Furthermore, by retailing this book to your students, you can make almost five dollars on each sale. Simply order cases of 6 to receive the wholesale price of 30% off every case you purchase ($62.79 per case). God bless you and all of your students! include delivery within the United States only.